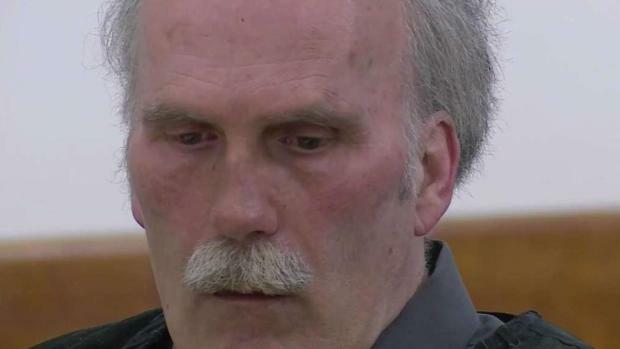 With representatives of several New England police agencies watching on, a Vermont man was sentenced to a year in prison Wednesday for his role in the death of a longtime Massachusetts officer. Joe Rebello had retired from a more than 30-year career in Massachusetts law enforcement, including jobs as chief of police in the towns of Kingston and Stow, when he and several buddies went on a motorcycle trip to Vermont in June 2014. “Who would have thought that doing the thing that he loved would be death for him,” Donna Arsenault, Joe Rebello’s sister, asked rhetorically in her victim impact statement. A Vermont man was sentenced Wednesday to a year in prison for his role in the death of a longtime Massachusetts police officer. The longtime officer was killed when Sargent crossed the center line on Route 14 in Woodbury and crashed into the group. No one knows exactly what happened, but prosecutors insist Sargent was negligent. The office of the Washington County State’s Attorney said Sargent failed to take an anti-seizure medication and was driving a substandard car while very tired. Retired Hudson, Massachusetts police chief Richard Braga was on that motorcycle ride, too, and lost his left leg below the knee. Braga delivered a victim impact statement that described the lasting emotional, physical, and financial impacts to losing his close friend and suffering life-altering injuries in the crash. In a prior hearing, Sargent pled no contest to negligent operation with death resulting and told Judge Morrissey that he is a good and hardworking person, who never intended for any of this suffering. “I am very sorry for the loss and pain I have caused,” Sargent told the court, as well as friends and family of Joe Rebello. Sargent noted in a letter he read aloud that he, too, has been forever changed by the crash, and recognized that he caused heartbreak and several serious injuries. A friend of Sargent’s also addressed the court, asking the judge for leniency—arguing that the crash was an accident likely caused by a medical concern, and adding that she is certain Sargent wouldn’t intentionally hurt someone. After taking a recess to consider all the victim impact statements and other information she was presented, Judge Morrissey imposed a sentence of one year and one day in prison—and a longer term of probation—which was the maximum prison time called for under a plea agreement. After Sargent is released from prison, he’ll have to take a safe driving course and prove that he stays on his medications for two years before he can get his driving privileges back, Judge Morrissey said. Friends and relatives of Joe Rebello hugged after the sentence was announced.